Location was excellent, breakfast was very good, parking was available. We were able to stay an extra night. The location is central to the main shopping street. However, the street is very busy with 3 lanes of fast traffic staring early, and late into the night. This does not show in photos... noise is like being in a freeway. Construction is everywhere, blocking sidewalks. The location is great - just cross the road and you're in the pedestrian area of the city. Loads of eateries around the hotel and they have parking right at the back. Spacious room and very comfortable bed.The breakfast was also very good.Very helpful and friendly staff. Close to the Centrum and directly off the bicycle trail . 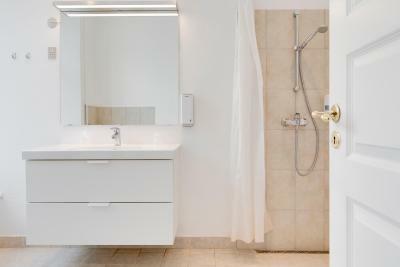 Large room with clean bathroom and toiletries. Excellent breakfast. Close to some good restaurants . Staff very helpful and friendly. Good bike storage . The beds were very comfortable and the staff, especially Charlotte at the reception desk, was wonderful. The breakfast exceeded expectations. The reception staff was great! The location simply outstanding! Walked to bars and restaurants as well as the modern art museum, the zoo...and a MUST visit the park of the singing trees! The Provence restaurant outstanding! Great comfort in the bedroom facilities. Great breakfast. Charming atmosphere. Old hotel, but with an excellent atmosphere, located n the center of town. Slept in the annex, which as good as the main building. Good to have (reasonable priced) parking at the property. Nice breakfast ! 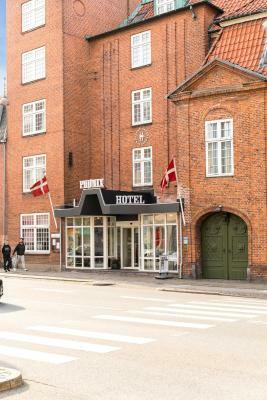 Helnan Phønix Hotel This rating is a reflection of how the property compares to the industry standard when it comes to price, facilities and services available. It's based on a self-evaluation by the property. Use this rating to help choose your stay! 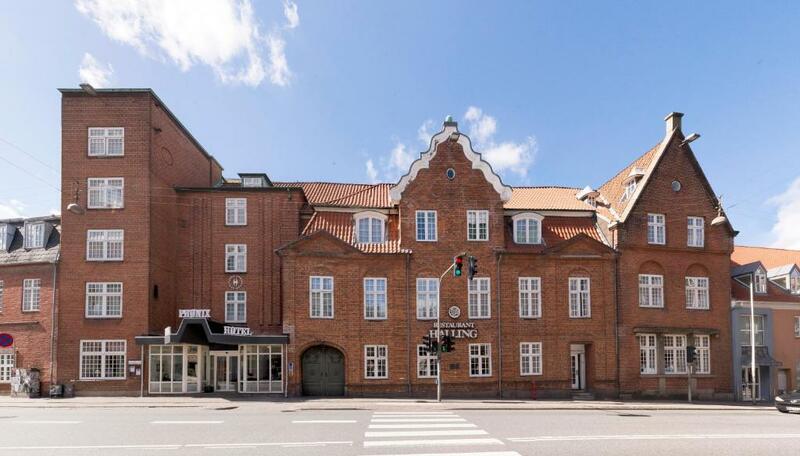 One of our top picks in Aalborg.This hotel is located in a stylish 18th-century building, just across the street from Algade shopping street. 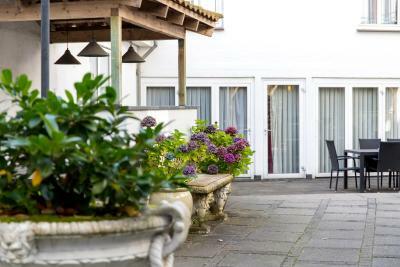 It offers an old-fashioned charm, modern facilities and rooms with free WiFi. All rooms at Phønix Hotel feature classic décor, as well as a TV, work desk and safe. 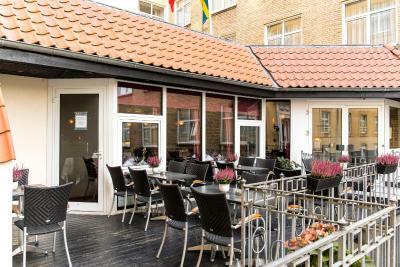 Restaurant Brigadier serves a fine selection of both Danish and international cuisine. Drinks are available all day in the bar. Guests can work out in the fitness center with treadmills, exercise bikes and weights. 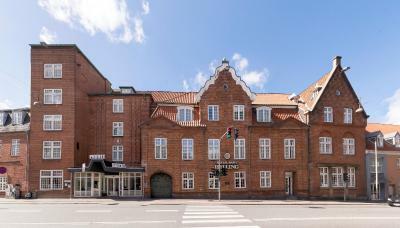 Relaxation options at Phønix Hotel include a hot tub, sauna and solarium. 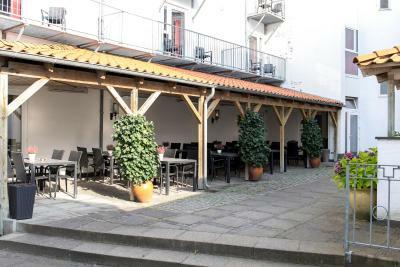 The restaurants and nightlife at Jomfru Ane Street is a 3-minute walk away, while Nytorv Square is 2,450 feet from the hotel. 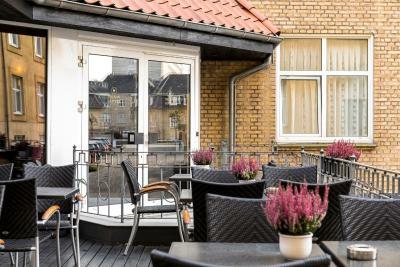 When would you like to stay at Helnan Phønix Hotel? Has a sitting area, TV and work desk. This double room features a flat-screen TV, private entrance and seating area. 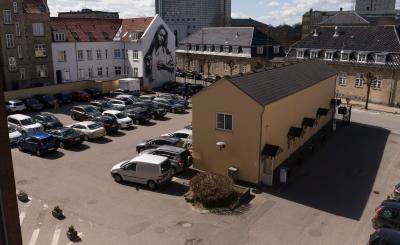 House Rules Helnan Phønix Hotel takes special requests – add in the next step! Helnan Phønix Hotel accepts these cards and reserves the right to temporarily hold an amount prior to arrival. Guests arriving later than 23:00 are kindly requested to contact the reception prior to arrival. Pretty shabby room, with very old beds... Worn down, broken and stained things around the hotel - a pretty sad view. We were given a room for a start which was freezing old and looked nothing like what we had booked, so we had to go and talk to the reception to change, which is never very amusing... No value for money. Cannot change the order after checking in. Nothing in particular. However a bit of modernisation would help. Walls are thin--we could hear neighbors and people in the hallway. Carpet in room was pretty worn. Needs some small upgrades. Cables does not seem secure. Lamps looks dirty and should be changed. Plug for mini bathtub was missing. cozy oldstyle hotel, nice staff. Breakfast was great:) very good location. I would have liked to see a bigger variety in the fruits available. The breakfast was good and always replenished when certain food items where low in supply. The bread was extremely good. Nice atmosphere of old times. Great wine selection in the bar.